If your coach set you up with nutrition goals, you can access these from your account at any time. 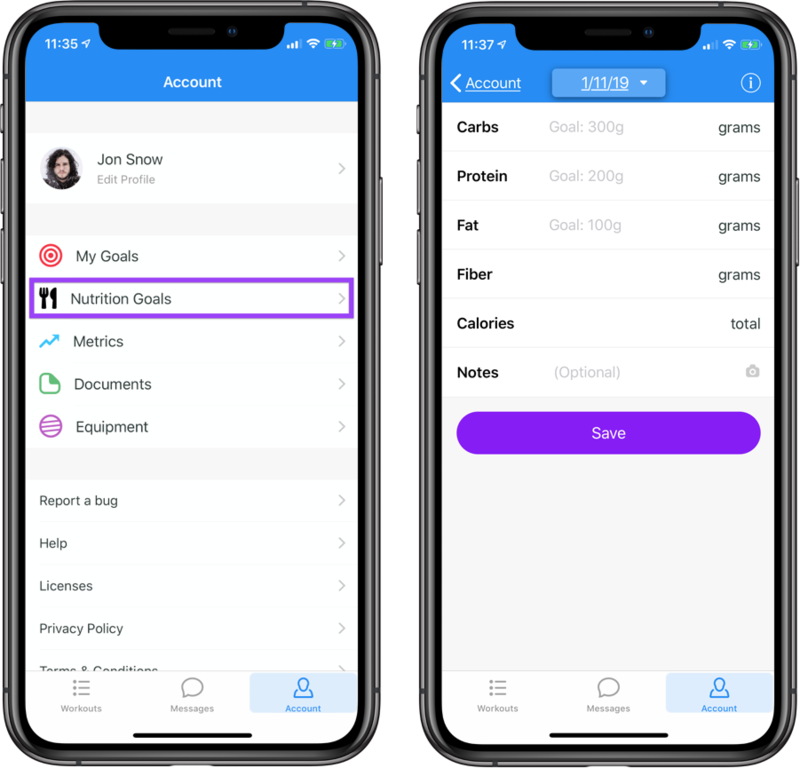 On the iOS app, head to Nutrition Goals on your account page. 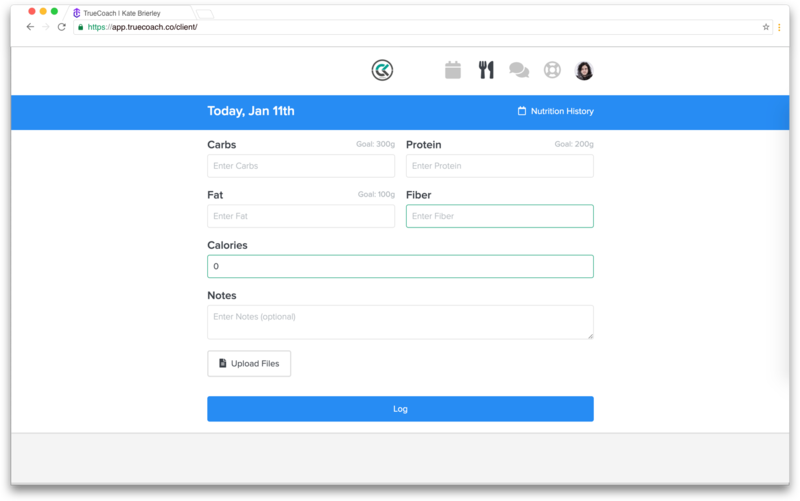 You'll see your daily protein/carbohydrate/fat goals as well as a section to enter any notes or upload any files you'd like.